View our exclusive menu suggestions set by our master chef. Needless to say, enjoy our delicious food from the comfort of your home. Exclusive wines hand picked by our suppliers to complement our food. Hope you like to party, we know we certainly do. We have hosted and celebrated many parties at the Shampaan. 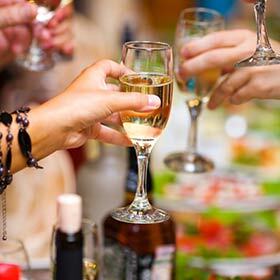 Our members of staff have the right party experience to make sure your next celebration is even more special! Get in touch with us today and let us help you arrange the next party at Shampaan Restaurant. More OOOMPH, less spice, whatever your preference ask us and if we can we will happily tweak your food to your hearts desire.